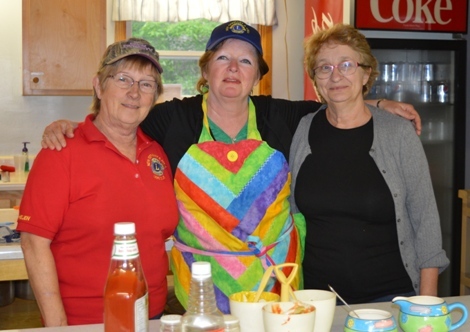 Lions Helen, Kelly and Christine Arenburg looked after the canteen at the Penny Auction. 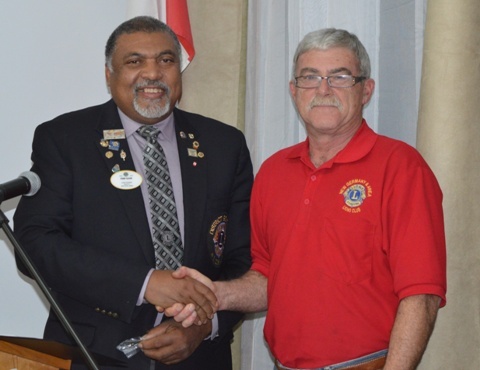 DG Perry presenting New Germany & Area Lion Mike Crouse with his visitation pins. 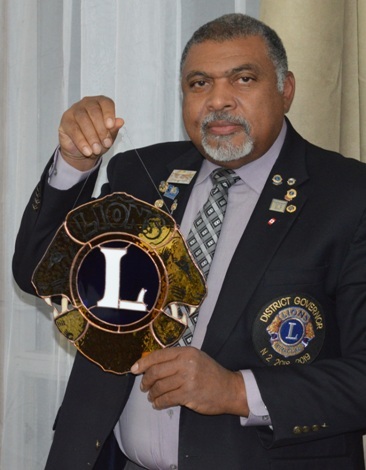 DG Perry showing off the stained glass suncatcher he received from the New Germany & Area Lions. 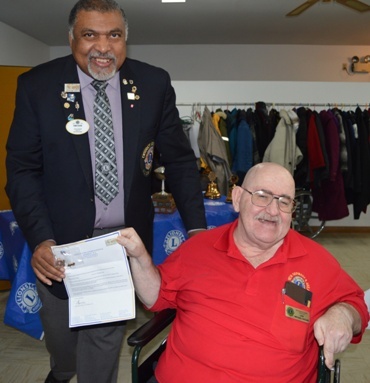 New Germany & Area Lions president Dave Moore thanking DG Perry for presenting his pin to the club.